Andy Findon: Virtuoso flute and piccolo performances by top london musician. 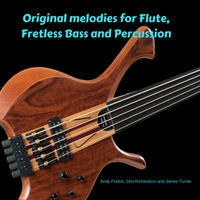 As a London-based musician since the mid 1970's, Andy Findon has appeared on countless albums, film and TV scores. He has been involved in just about every genre of performance from serious orchestral work and session recording to rock-bands and performance on a vast array of ethnic instruments. Andy has worked throughout his career on varied chairs in London's West End theatre, playing many instruments, including sax, clarinet, ethnic flutes and flutes. As well as his enviable reputation as a master performer on the flute, Andy has been Michael Nyman's baritone saxophonist since 1980. Personal recording projects include 2 multi-tracked CDs and several solo pan-pipe albums as well as writing for many "library" music companies. Many of his compositions now feature on TV and film productions, most notably a current TV advert for Pampers! 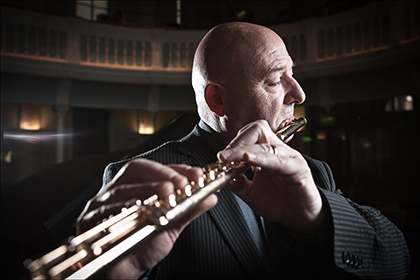 In 2008 he transcribed and recorded a 37 minute, solo flute work by Michael Nyman, "Yamamoto Perpetuo" (published by Chester Music). Andy released "Density 21.5" in 2011 and "The Dancing Flute", (the flute and piano music of Geoff Eales) in 2013 on Nimbus Alliance. He is a member of the "The Home Service", winners of the BBC Radio 2 Folk Awards 2012 (best live act), "Acoustic Earth" and "The London Woodwind Orchestra". Andy's vast array of sounds appear on a series of high profile sampling packages, entitled "Andy's Kitbag", produced by Spitfire Audio. 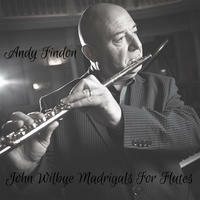 Andy is a "Pearl Flutes International Artist" as well as being the proud owner of Geoffrey Gilbert's 1950 platinum flute. 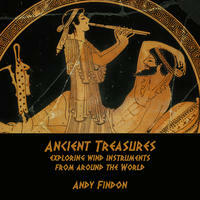 You can find out more about Andy on his webpage. 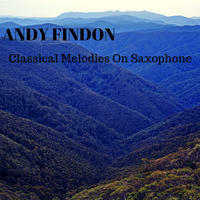 Andy Findon lives in Edgware, England. Tagged as: World, Experimental, Instrumental, Flute.